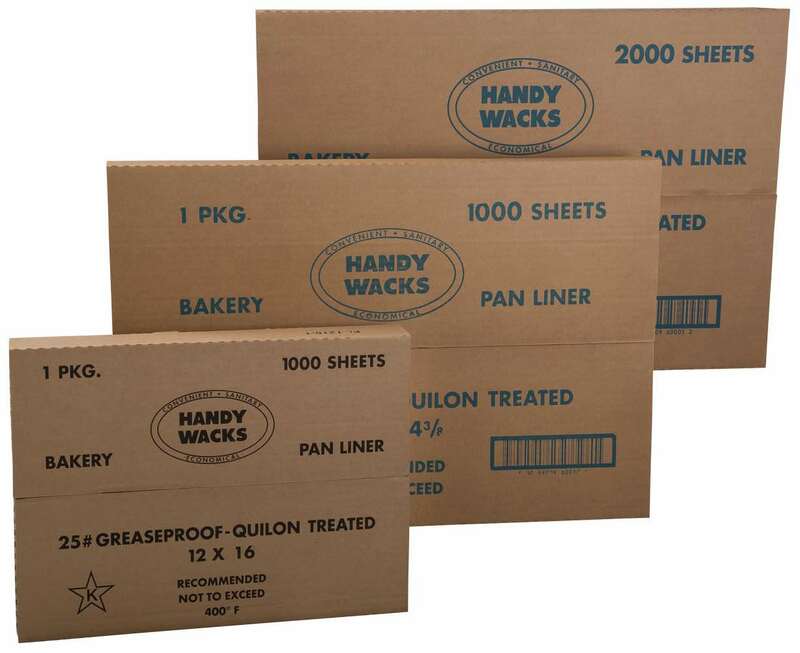 Handy Wacks provides a full line of disposable food-handling items to help every level of the food service industry bake, divide and serve their restaurant products. Baking Pan Liners are used primarily in commercial baking applications. Prevents your baking goods from sticking to the baking pan. All of our pan liners are Star-K certified. *Available in white:, green:, black:, and peach:. Baking cup liners are approx. 26 lbs. base weight, wax treated to 30 lbs. and are pure white. *Can be printed with custom logo or design. Also available drilled one to three holes. *Available in bleached: and natural: colors. *Available in white:, and natural: colors. Available in Plain Unprinted Foil, Stock Printed Hamburger, Stock Printed Cheeseburger, Stock Printed Chicken, Stock Printed Barbecue. Use for any temperature sensative food. Can be printed with custom logo or design. Also available in drilled one to three holes.